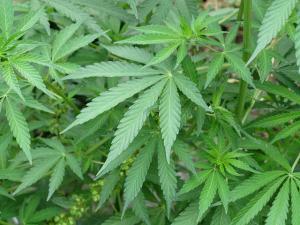 A car mechanic from Burnley who was caught dealing cannabis has escaped a prison sentence. Mohammed Saif, 20, was spending £140-a-week on his drug habit and he carried out MOTs on vehicles and sold cannabis on the side to fund it, the Burnley Citizen reported. Mr Saif was caught by police with £455 worth of the drug in 27 snap bags in his car, as well as a hammer, knife and police baton. Even though he might have escaped time in jail, the conviction will likely have a detrimental effect on the defendant's chances of obtaining a road risks insurance policy in the future. This type of insurance is necessary for anyone who needs to drive other people’s cars as part of their business practices – such as carrying out MOTs – and they can be difficult to get for under 25s. Now he has a criminal record, Mr Saif would be lucky to get this insurance to continue his motor trade business. When he appeared in court earlier this week, Mr Saif, of Moor Street in Brierfield, admitted possessing cannabis with intent to supply and having an offensive weapon on 19 March, when he was caught by police. He was given one last chance by Judge Beverley Lunt, who sentenced him to 12 months in a young offenders institution, suspended for two years, with 12-months’ supervision.